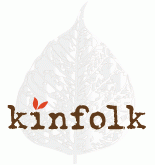 Wonderful dinner at Kinfolk last night. The crab falafel, duck, and desserts in particular were amazing. Thanks to Greg Lutes for cooking for us, Cynthia for the recommendation, and David and Alexis for joining us and being such great friends! @kinfolksf @schnarfed Chef’s tasting menu was incredible! Loved everything and I can’t wait for my next visit!